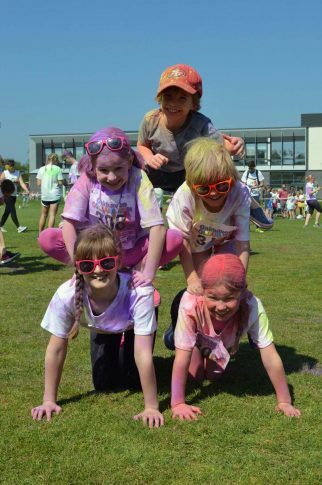 Oakhaven Hospice in Lymington held its annual fundraising Colour Run at Brockenhurst College on Sunday with around 1,000 people involved. 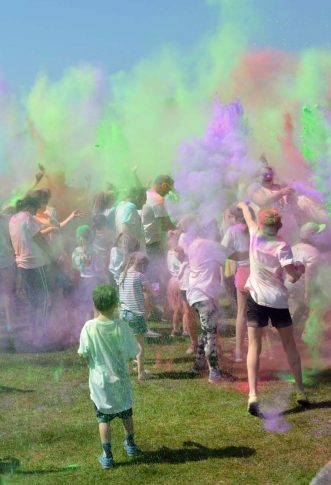 Competitors were bombarded with paint as they completed four laps of the sun-soaked course. This was followed by a mass paint-throwing finale that left everyone multi-coloured. Organisers of the event were hoping to raise around £20,000, which will help support people with life-limiting conditions. 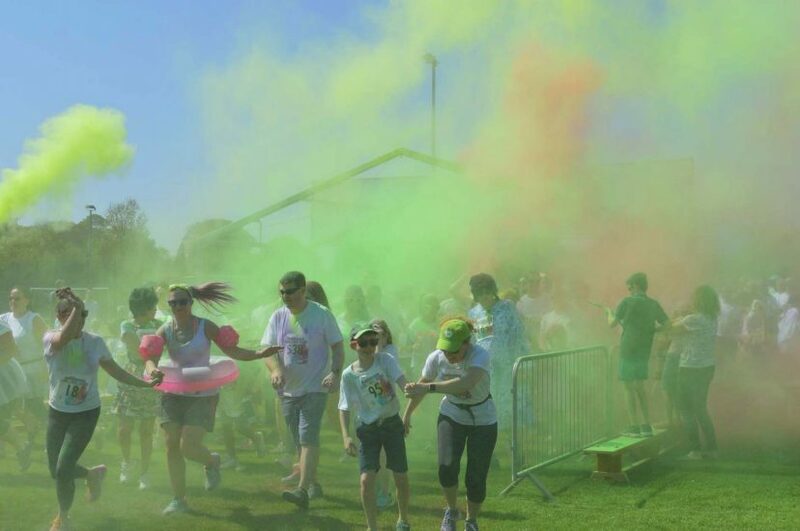 Event organiser Penny Marriage said: “It was incredibly hot, but there was a great atmosphere – lots of fun and everyone was in a party mood. 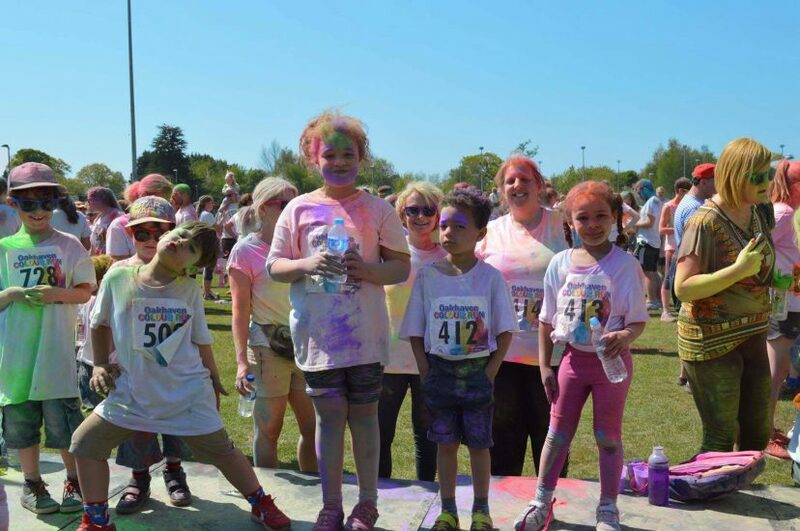 “This continued support has helped make the Colour Run so successful, allowing Oakhaven to continue providing its invaluable services to the local community,” she added. 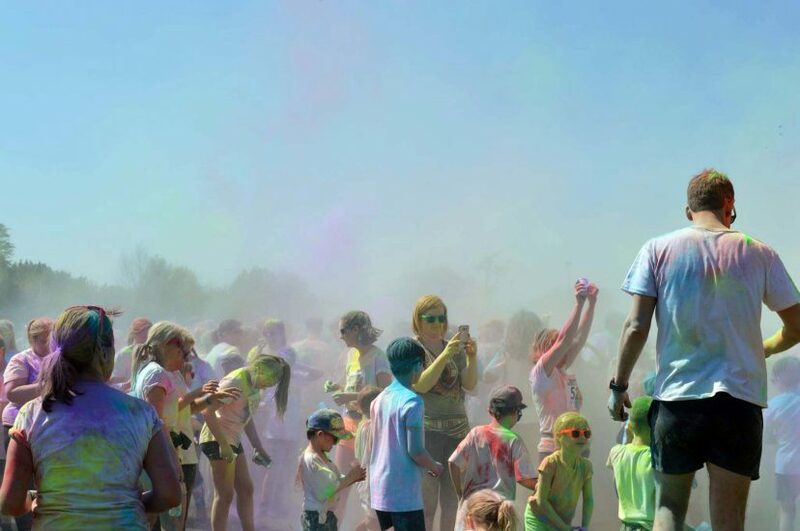 Rebekah Donawa, Head of Marketing and Communications at Brockenhurst College, commented: “We’re delighted to have hosted the Oakhaven Colour Run again this year. “It’s always a highlight in our events calendar, especially this year as the weather was perfect. Event sponsors included: Careys Manor, Vodex, New Forest Holiday Lets, Bond Williams Recruitment and Fells Gulliver.